We are a bonded and insured HVAC service and repair company. We are also a member of the McHenry County Chamber of Commerce and here to help you out with any furnace heating and air conditioning cooling problems in your home or business. We service and repair all furnace, air conditioning, and water heater brands and offer a variety of hvac services like residential replacement, new residential construction jobs, and even commercial work with convenient financing available if you need it. Give us a call or send us an email today for information on our free equipment and installation estimates as well as extended service agreements so you can be comfortable quick! Barry Klatt Sr. and Jr. Welcome You! We are a family owned business located in Crystal Lake IL since 1982, your satisfaction with our hvac heating and cooling products & services determines our reputation and future success. We want our customers to be customers for life, so we go the extra mile to give you personal and neighborly support. We provide furnace and ac repair and service to keep your home comfortable all year long. Our excellent reputation in HVAC industry (including furnace repair and air conditioning repair) and long list of satisfied clients attest to our superior craftsmanship, attention to detail, clear communication, honesty and integrity. Just ask for our client reference list. 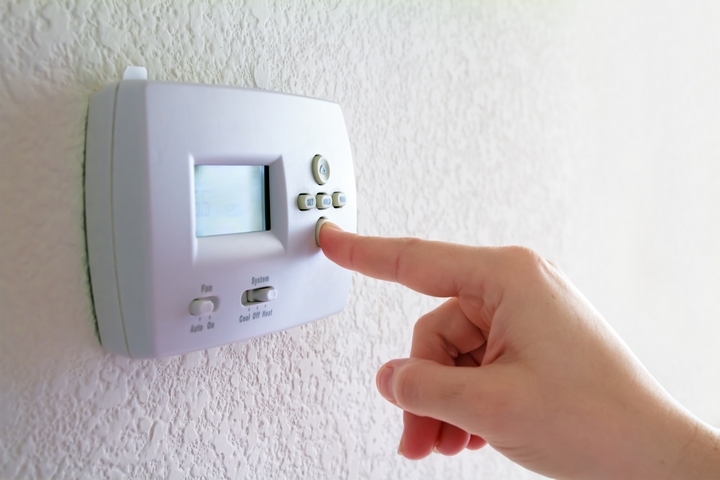 Why should you consider replacing your furnace or air conditioner? 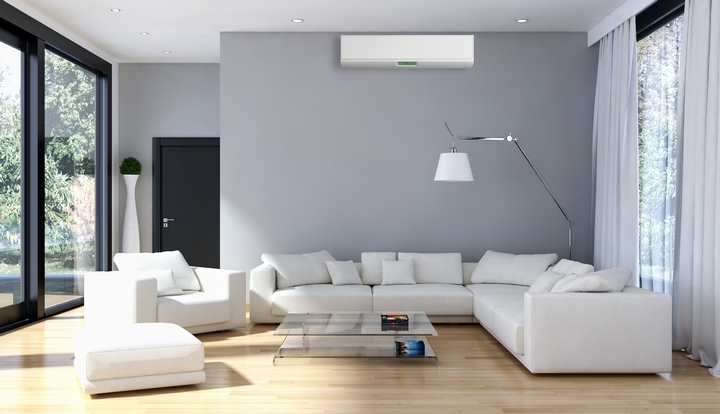 What are the benefits of a new air conditioner or furnace? Let's discuss your ideas! Your free consultation is just a phone call away and remember, when you have a problem with your hvac equipment, we're your local expert! We can address all of your HVAC needs. 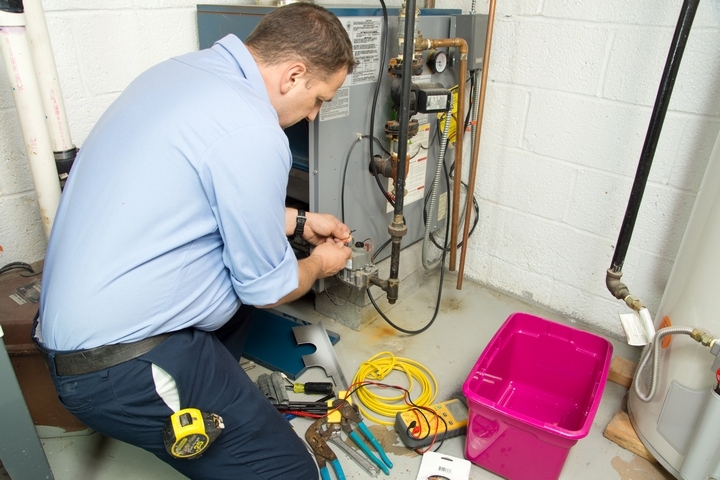 Whether you need to schedule system maintenance, replacement, or air conditioner & furnace repair, Crystal Lake locals know we’re the best in the business. What sets us apart? We're a family owned business that Crystal Lake Residents have learned to trust. Customer satisfaction is our number one goal. Arctic Enterprises was founded in 1982 so we've got over 30 years of experience. Our team has what it takes to meet all your heating and cooling needs and we're available 24/7. While we're an authorized Heil dealer, we service all HVAC brands. 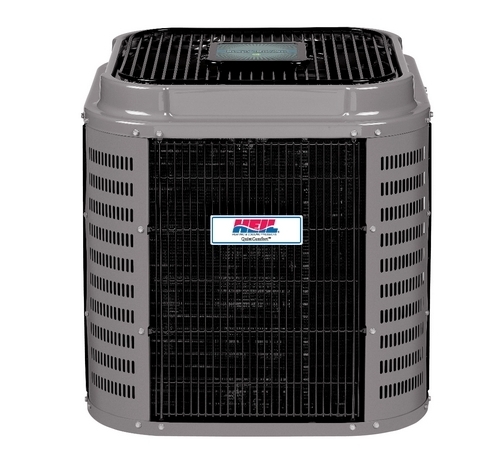 Contact us today to schedule a cooling & heating service within the Crystal Lake IL area. We contacted Arctic after our crappy Home Warranty company, HMS, refused to repair a part that was failing in our furnace. Arctic responded immediately, gave us an estimate that we could check out to be reasonable (other companies couldn't do this), and got the new furnace installed for us the next day. It was great! No down time without heat, and got a great new furnace. House was clean when they left, and they were careful with their mess. No problems at all, everything working very well. I would definitely recommend them to someone else and we will use them again. It was a wonderful experience dealing with Barry and Arctic Enterprises from the initial phone call through the completion of the service. I spoke to Mary who was very pleasant and was able to assist me with setting up an appointment. Barry showed up on time, he was professional and considerate of my home. With his knowledge he was able to solve the problem right away and at a great price. I have signed up for the yearly maintenance because of the confidence and trust I have in Barry and his company. I would highly recommend this company for all your heating and air needs. Thank you, Arctic for your great service. I am so happy I chose ARCTIC ENTERPRISES, INC., to replace my HVAC unite. They arrived on time and went right to work. As a senior, I was very comfortable with this company working in my home. After the installation was completed completed the area was left spotless. Reliable, trustworthy, and best bid I received. Don�t hesitate to call and use Arctic Enterprise. We called Arctic when our A/C unit stopped working. Barry made the service call the same day, and after a quick diagnosis, gave us the news that our old unit had a major Freon leak. The unit was so old that the Freon type would have been quite expensive to recharge the system, with no guarantee that the problem would be solved. Barry recommended two units for us to consider, and after a few questions, we made a selection and the "Barry's" scheduled a time to install the unit. By far, it was the most painless, most professional installation that we have ever experienced. We highly recommend the Klatt's for all of your HVAC needs. Thanks Barry Sr. and Barry Jr.!! I moved into a 1951 built home that had no central air conditioning or duct work, after many quotes I decided to go with Artic Enterprises for the job. I have to say they weren't the least amount, but decided to go with a family owned company instead of a larger company. I was very impressed with both the Barry's and son Joe. They were very conscious of their surrounding in my home. The installation took 3 days, which surprised me that they could do it that fast. They showed up when they said they would and after each day, cleaned up after theyselves. I will continue to use them for routine maintance check on my boiler in the fall and the air conditioner next spring. I would HIGHLY recommend them and am completely satisfied with their work. They even replace the thermostat that wasn't working with a new one. The owners of Arctic Enterprises Inc., Barry Klatt, Sr. and Barry Klatt, Jr. came out to replace my furnace last Saturday, they were on time and were very careful to protect my wood and carpeted floors. I have been in the construction field for over 40 years and I have rarely seen the quality and attention to detail that this father and son team provided. They repaired items on the ductwork that were improperly installed by the builders contractor that could not be seen until the old furnace was removed. There was no additional charge and their work was extremely professional. They were in and out in just over 4 hours and you could not tell they had been there except there was far less dust and dirt as they cleaned everything. If you are looking for a great HVAC contractor, with very reasonable and fair prices, I would recommend them without a second thought and have already given out several of their business cards to family and friends. I have given them 5 stars but they deserve more. They will be my "GO TO" HVAC contractor from now on. Great Job. We are very impressed with Arctic's punctuality, knowledge and thoroughness. We recently purchased a foreclosure where the AC needed some work and they handled everything from start to finish in good time and at a reasonable cost. They were referred to us by family and we have already referred them to others. Highly recommended! 3 months after install a part failed. Barry replaced the part quickly at no cost. Both Barry and Heil stood by the ac and the problem was resolve with no hassle quickly. I had an electrical fire in my furnace & got a few quotes to replace it, which were all quite high. Firemark highly recommended Arctic so I called. They came out right away and gave me a fair quote which I accepted and was glad that I did. They did an excellent, thorough job and it's working perfectly (furnace & air had to be replaced). I highly recommend them. Did a great job, and were very professional. Left the area cleaner then it was before they came. I was very impressed with the service I received today. My air conditioner stopped working yesterday. I called and left a message This morning and they called me back right away to set up the appointment for the same day. Barry arrived on time and got straight to work. Great service and very reasonable prices. Glad I called Artic today. i will use them again. I moved into an old farmhouse that I am renovating to enjoy in my retirement. It's a quirky old place desperately in need of updating. Arctic Enterprises came to my rescue by cleaning and servicing my furnace after move in and showed me how everything worked. Recently I had them back again to install central air and a gable fan in the front of my house, all of which required considerable customization. I have been completely satisfied with their work. I appreciated their creativity in finding solutions to retrofit my older home as well as their flexible scheduling. The "Barrys" are wonderful to work with, always upbeat and helpful. Thank you, Arctic Enterprises - I'll see you again in October for my annual furnace cleaning! Haven't used Arctic Enterprises yet but they have the best customer service. They returned my call in a timely fashion and gave me a competitive bid on my needs. And they explained what they will do and why. When I'm ready I will definitely call them. We were absolutely impressed by Arctic Enterprises. Their price was fair, their work was fabulous, and they were just lovely to deal with. They treated our home like it was theirs, using drop-cloths and shoe slippers. We will be using them soon for another project, and just want to say they are the BEST!!!! We highly recommend them and were extremely pleased at the service they provided. Barry is a great guy to do business with. always dependable, fixed right and price is always fair. Give this guy a try, promise you won't be sorry. The owners of this Company, Barry Klatt, Sr. and Barry Klatt, Jr. have been servicing our HVAC systems for more than 20 years. They are extremely dependable, competent, professional, punctual, and responsive. Like other homeowners, we have had emergency situations, and Barry (Sr.) and (Jr.) have come out very quickly to address the problem, and remedy the situation -- whether it be to restore the heat, or restore the cooling. Knowing that they have our best interests at heart, gives me and my wife great peace of mind. I am an attorney who has represented builders and developers for 40 + years, so I have lots of contact and experience (outside of my home) with contractors and tradespeople in all fields of endeavor. And the fact that somebody like myself, with my background, has used Arctic Enterprises, Inc. continuously for 20 years is a testament to Barry Klatt Sr. and Barry Klatt, Jr., and the value of the services that they provide. I would recommend them highly to anybody that is looking for great HVAC contractor, with very reasonable and fair prices. They always go the extra mile for you, and I truly value the relationship that we have with them.